For those of you looking at the box of Ring Bling, this isn't Pretty Pretty Princess. Don't be detered by the rings (although I have gotten many a guy in college to play Pretty Pretty Princess). In addition, Ring Bling is not to be confused with the book or film "The Bling Ring" which recently came out in theaters. Although, I do like to think that I am hip enough to say "if you can follow directions then be sure to put a ring on it!" (then again, probably not). Jokes aside, Ring Bling, the game by Super Duper Publications, is probably the game that provided the most intriguing questions from my students on my counter. It definitely caught their attention with the bright colors and they definitely wanted to collect (if not keep and bring home) as many rings as they could! To learn more about the game that conjured up all of these jokes and questions, be sure to continue reading for my review! Give each player twelve rings and have them place them in front of their hand. One player, or the clinician, reads the card aloud while another follows the directions on the card. If the other player correctly answers/responds, he or she can spin the spinner. The spinner has three different spaces on it: choose 1 ring, choose 2 rings, and give away 1 ring. The player then follows through with the direction on the spinner. Rings accumulated are placed on the fingers of the hand. The first person who acquires all twelve of their rings wins! One player, or the clinician, reads a card aloud while another player and if they correctly answer the question/respond appropriately to the direction, he or she can place on ring on one of his or her hand's fingers. This continues until a player gets one finger on each hand and wins the game. This is the fastest game of the three. Each player begins with 12 rings on his or her hand. One player, or the clinician, reads the card aloud while another follows the directions on the card. 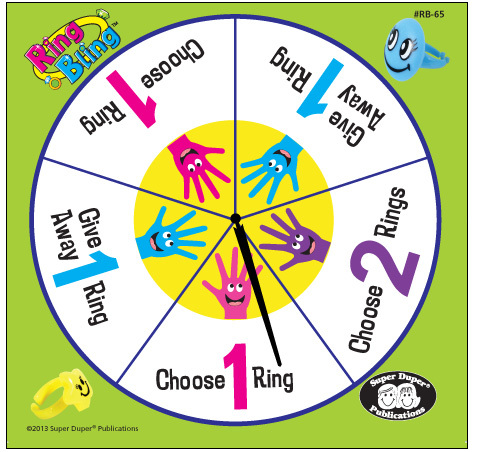 If the other player correctly answers/responds, he or she can spin the spinner, but this time instead of adding rings or following its directions, the player must remove the number of rings stated on the spinner from his or her hand or places a ring on another player's hand. The person who runs out of rings first is the winner, but he or she must spin the exact number of rings he or she has to win. Honestly, the game I can see my students wanting to play is that you get one ring for each direction you follow correctly and whomever has the most rings on their hand at the end wins! I know that the first thing I did with the rings once they were taken out of the package was to see how many I could fit onto one hand (it was 41!). I ended up getting 60 rings in my package instead of 50, which makes me feel better just in case myself or my students lose or break one here and there! There are three different types of directions in which my students can work on. This product can act as a reinforcer for correct trials on its own or as a game with any cards! It is definitely a motivating game! This game has all kinds of different types of rings from dinosaurs to stars to smilies to sports! 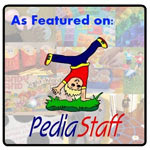 The cards are color coded which makes them easy to place into piles according to direction-type. I have to admit I was a bit disappointed at how few cards were included. I may have been spoiled by all of the Chipper Chats and Granny's Candies lately, but I figured there would be a bit more! I would've liked 50 cards for each type of direction so that the game doesn't use the same directions each time it is played with the same students. I also think it would have been nice to include more types of directions. I have children working on spatial directions, 1-step, and 2-step directions. This way you can even incorporate getting 2 rings for 2-step directions vs. 1 ring for 1-step directions as well! I know printing directions on the top of the box saves paper and you won't be as likely to lose the directions, but I have so many games in my cabinet that to save space I throw away my boxes. I definitely like keeping the paper directions and passing them for the students to read. This is not necessarily something that needs to change, but definitely a point to keep in mind - the rings are small so make sure you think about the age/disorder type of each child you are considering using this product with prior to game play due to the fact that they are small enough to be a swallowing risk! 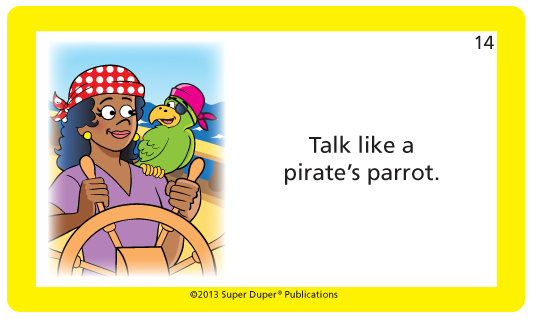 Articulation/Fluency/Voice - Have a student who is working on speech sounds, fluency strategies, or vocal strategies read the cards aloud using his or her best skills! 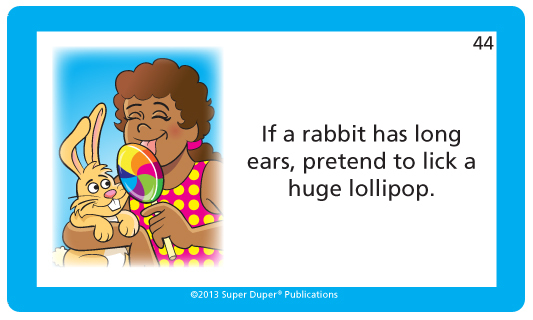 Auditory Processing - These cards, especially the conditional directions, require use of auditory processing skills to hold the auditory information and process it to follow the directions. Expressive Language - Have students give each other directions to follow while playing the game. 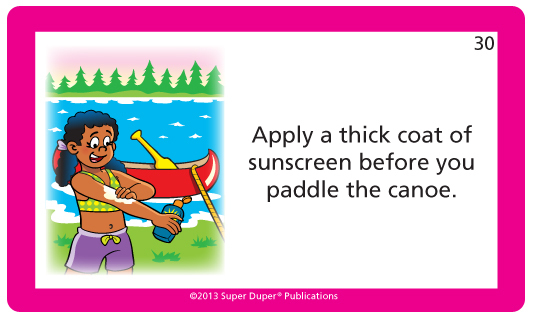 Following Directions - This game is all about following basic, temporal, and conditional directions. Receptive Language - The client must understand the concepts within the direction in order to follow them (for example, knowing what a parrot is in order to know how to talk like one). 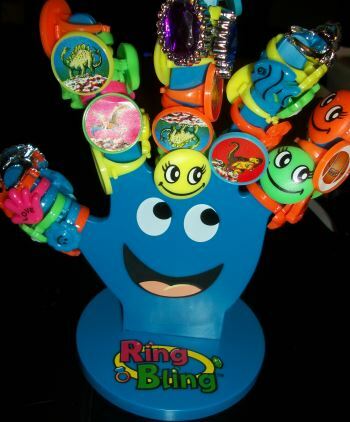 Reinforcer - Have students place a ring on for each correct answer they get and remove one for each incorrect answer. These hands/rings can be used with any deck of cards or to reinforce almost any therapy technique! Writing - Have students write directions on cards for each other to follow while playing the game. 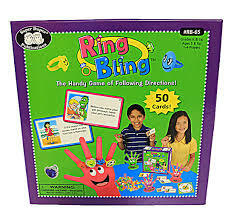 Ring Bling is available from Super Duper Publications for $29.95. You can purchase additional rings (50-count) for $9.95 or hands (4-pack) for $14.95. 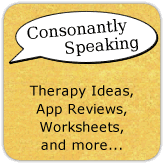 The author of Consonantly Speaking received a copy of Ring Bling to review. No other form of compensation was received.